WooCommerce product bundle plugin let you add simple products and variable products in a bundle. With this plugin, you can hide the products which are not available or out of stock. You can enable fixed price or product-based pricing for the bundle. WooCommerce product bundle plugin allows you to set the minimum and maximum quantity of products that customers can buy in a bundle. 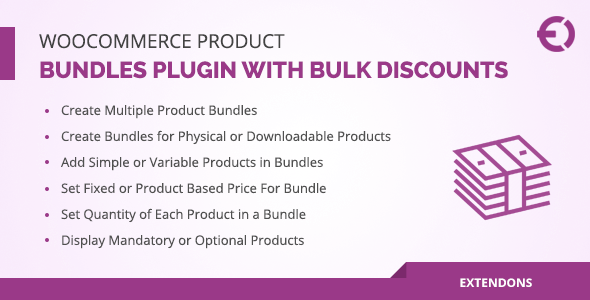 •	WooCommerce product bundles plugin allows your customers to buy similar or different products on one click. •	With this plugin, you can change the title and description of included products in bundles. •	Price of this plugin is just 29$.